The answer might surprise you. We have this idea that diamonds have been with us forever. And of course, in one sense they have been. Most of them, at a couple of billion years old, have been around for about as long as multi-celled organisms. What hasn’t been with us as long, however, is the culture that surrounds them. 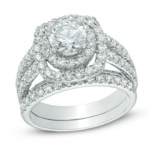 Today three-quarters of couples marry using diamond rings. And because they’re so pervasive in our culture, we think they must always have been around. 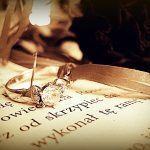 We have this notion that diamonds have been a part of marriage for as long as we’ve been marrying. Go back to ancient Rome or Carthage and you’ll find people slipping diamond rings onto each other’s fingers. But nothing could be further from the truth. The reality is that diamonds haven’t been a part of popular culture for thousands of years. Heck, we haven’t even used them in that way for a hundred. 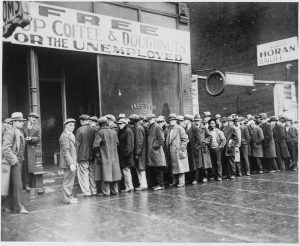 They entered mainstream U.S. culture during the great depression of the 1930s. And they did so in one of the most quintessential American ways there is. They were marketed. 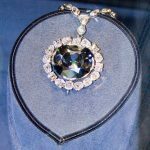 The story of how diamonds were boosted to the status they have today has to be among the most successful marketing campaigns ever devised. 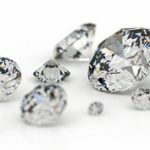 It started back in 1888 when De Beer – an English company operating in South Africa – consolidated most of the diamond market under their control. Their genius was to create a near-monopoly situation and then limit supply, so as to keep the price of diamonds artificially high. They weren’t satisfied just controlling supply, however. And so they set out to influence demand as well. In 1938 they recruited the New York–based ad agency N.W. Ayer to help them create the association in people’s minds that you couldn’t get engaged without a diamond and a man’s love was proportional to the size of the rock that came with it. They set up a story machine which supplied the newspapers of the US with a constant stream of famous people wearing big stones and equating that to how loved and important they were. In 1947 they even created a special group which went by high schools to lecture teenagers about diamonds. Yeah, that kind of stuff was legal back then. In this way, the company expanded their diamond sales in the US from 23 million in 1839 to 2.1 billion in 1979. Not satisfied with one continent, they also expanded into other markets. For example, they entered Japan in 1967 and proceeded to put the diamond front and center – thereby changing the country’s entire marriage culture. This was quite an achievement. You see, the American market already had a thing for diamonds in 1938. 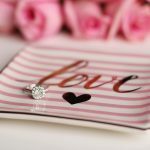 There had already been a trend towards people buying diamonds for romantic reasons – the Ayer agency just sharply accelerated this process. In Japan that wasn’t the case. They had their own marriage rituals which involved face painting and kimonos. In order to sell them diamonds, these concepts had to be replaced with a more western interpretation of romance and love. That they managed to pull this off demonstrates the company’s marketing genius (and why we should probably have laws in place to protect people from unscrupulous advertising efforts). That one wasn’t a direct product of De Beers or the Ayer agency. They’d already chosen a slogan for their campaign – one you probably know equally well as they still use it today. Diamonds are forever. The best-friend line entered popular culture from the 1953 movie Gentlemen prefer blondes which featured Marilyn Monroe. In the film, Monroe plays a gold digger who believes women can only get ahead by marrying well and is therefore after men who are rich and good looking. Indeed, the song is about this very topic, though this part has largely been forgotten by popular culture. Only the line remains. Diamonds haven’t held the status they have today all that long. It also explains why diamonds don’t actually have the resale value that many people believe they have. They are not half as rare as they’re made out to be. That too was a very successful bit of marketing by De Beers. Of course, as there are plenty of companies digging more out of the ground diamonds aren’t all that useful in a financial portfolio. You’d be better off choosing something like gold, stocks or real estate. But then, the line says they’re a girl’s best friend. It says nothing about investors. 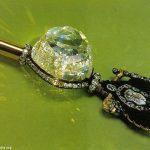 This entry was posted in Diamond Information, Sell Diamond Rings, Sell Engagement Ring and tagged Certified Diamonds, De Beer, Diamond History, Diamond Marketing, Engagement Rings.